I’m thrilled to be a part of Craft Lightning this week! Each round features a craft or DIY project that you can make in 15 minutes. 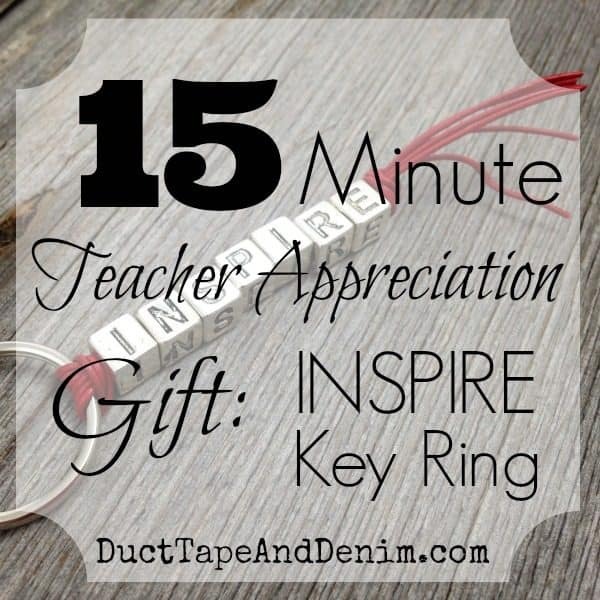 The theme this time is 15 minute teacher appreciation gifts. Click on the button at the end of this post to see lots more! I’ve been making a lot of key rings lately and I wanted to come up with something that kids could make themselves (with just a little help from mom). 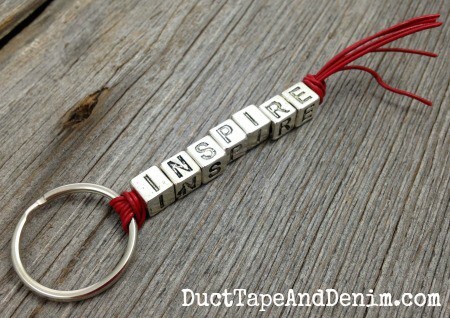 I chose the word INSPIRE because that’s what I think teachers do! But you could choose any word, school mascot, teacher’s name, etc. 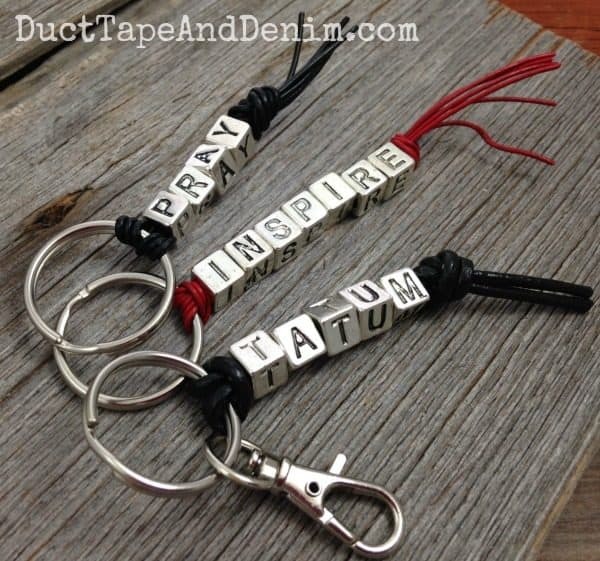 I had enough left over to make several other projects including a key chain to remind me to pray and another with our name on it. Here’s a quick video tutorial… WAY less than 15 minutes!
) you could also make this one in 15 minutes. I think this one will end up in my sister-in-law’s purse! As I mentioned, I had plenty of alphabet beads left over to make a few other projects. 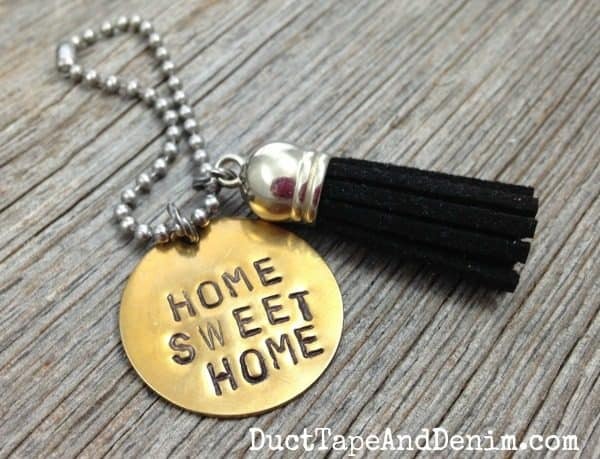 Since the initial jewelry is so popular right now I used one of the beads for a necklace for my daughter. 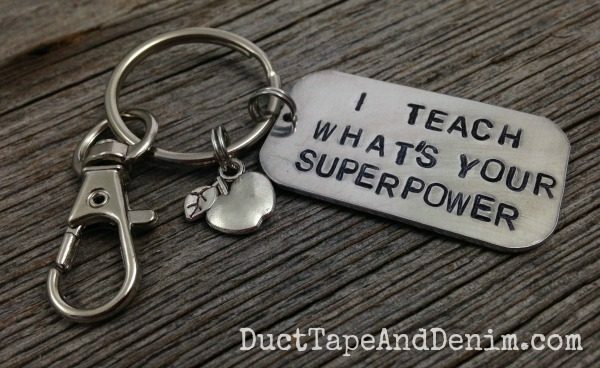 Click the button below to see LOTS more 15-minute (or less) teacher appreciation gifts. Please pin and share as many of them as you can! 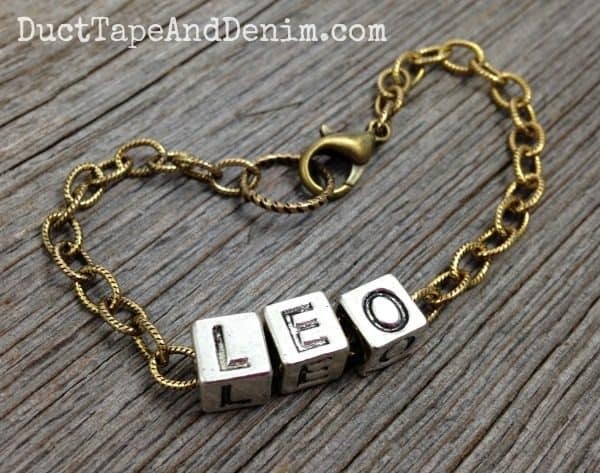 Follow Ann @ Duct Tape and Denim’s board DIY | Jewelry on Pinterest. Let me know what you think my next video tutorial should be! 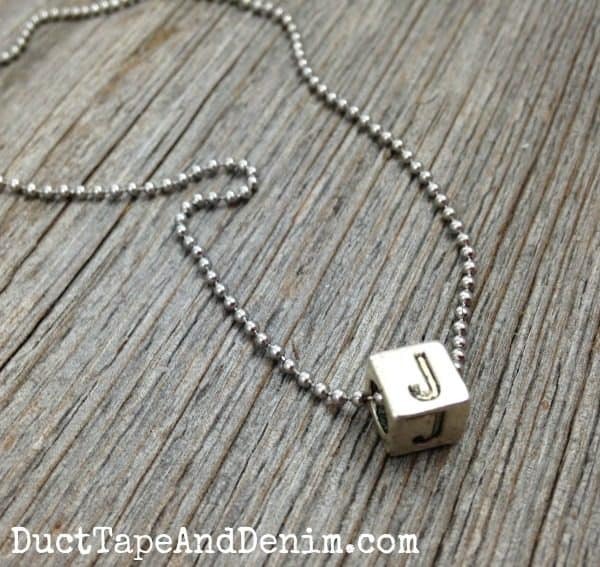 This makes me want a set of alphabet metal stamps! You should get some, Shelly. They’re a lot of fun!